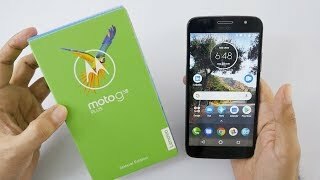 At flipkart.com you can purchase Moto G5s (Lunar Gray, 32 GB)(4 GB RAM) for only Rs. 9,390, which is 4% less than the cost in Amazon.in (Rs. 9,745). 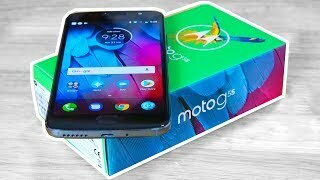 The lowest price of Moto G5s (Lunar Grey, 32GB) was obtained on April 19, 2019 5:39 pm. The new Moto G5S features a sleek, all-metal unibody design, precision-crafted from a single piece of high-grade aluminium. Diamond cut and painstakingly polished for a flawless finish, it’s stunningly beautiful and stronger than ever. Choose from Lunar Grey, Fine Gold or Midnight Blue designs. Stay unplugged even longer with a 3000 mAh battery that lasts all day. When it’s time to power up, don’t slow down. The included TurboPower™ charger provides up to 5 hours of battery life with just a quick 15 minute charge. The Moto G⁵ˢ high-resolution 16 MP rear camera has phase detection autofocus (PDAF) so more than 200,000 pixels lock onto your target in an instant. You’ll never miss a shot. Plus, Pro Mode gives you more control over professional features like white balance and shutter speed. And, Best Shot automatically selects the best pic in a burst to keep. When it’s time for a group selfie, the wide angle 5 MP front camera with new LED flash makes everyone radiant in any light. Activate Beautification Mode for extra-gorgeous selfies. Enjoy your favourite entertainment in vivid colours with crisp details on a 13.20cm (5.2) full HD display. With a Qualcomm®Snapdragon™ 1.4 GHz octa-core processor§, powerful graphics capabilities, and support for 4G speed, you can browse the web quickly and stream music and videos without delays.‡ Plus, when you’re on the go, a splash-proof coating** and Corning® Gorilla®Glass screen protect your phone from the elements.